Peace, Tranquility and Divine Luxury. Nestled 25 minutes north of downtown Tucson, Arizona, The Residences at the Ritz-Carlton, Dove Mountain, are hidden sanctuaries in the desert, radiating beauty, peace-of-mind and divine luxury living. With almost 350 days of sunshine, it is impossible not to fall in love with Arizona’s gorgeous turquoise skies, purple and pink sunsets and outstanding Dove Mountain vistas. Today’s luxury home buyer demands superior architecture, unparalleled-craftsmanship, fine details and rich finishes. Whatever your flavor, you are bound to find the ultimate home at The Residences at the Ritz-Carlton, Dove Mountain. Whether you choose one of the of the 91 customizable residences or build a classic Hacienda, sprawling Territorial, Spanish Colonial or Mediterranean style estate on one of the 16 exclusive home sites, be prepared to make a difficult buying decision, although there is no wrong decision. 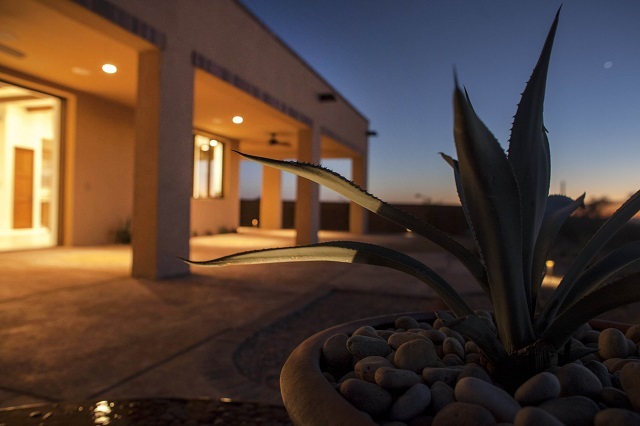 You will be captivated by some of the most astonishing home sites Dove Mountain in Tucson has to offer. Each of The Residences has been designed to embrace the feel of the Southwest with wood and stone flooring, and relaxed living spaces offering the very finest home appliances. Luxury living peaks, when exquisite beauty, lavish amenities and conveniences collide – Every owner at The Residences at The Ritz-Carlton, Dove Mountain can also enjoy the added benefit of accessing a selection of world-class personal services from the resort, including catering, concierge, housekeeping, and personal home management, with the option for additional staff. Perhaps we should give you a few more reasons to indulge, like swimming in an Olympic-sized pool, playing on one of many tennis courts, get your heart pumping in the premiere fitness facilities, or taking a brisk walk on one of over 25 miles of hiking and biking trails … and if all else fails to excite you, there is always 27 holes of Jack Nicklaus Signature golf, the home of World Golf Championships, waiting for your first swing. You are beckoned to buy today, so you can begin living tomorrow.